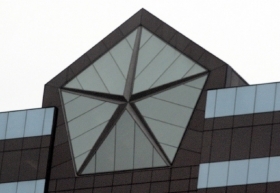 DETROIT -- The president of Brown University and the director of the UAW's strategic research department have been named Chrysler Group directors. Ruth Simmons, president of Brown since 2001, and Erickson Perkins, who helps lead the UAW's organizing efforts, were appointed to Chrysler's board effective last Sunday, the company said today. The two will fill the expiring term of former Michigan Gov. James Blanchard and a seat that has been vacant since September, a Chrysler spokeswoman said. "Our new board members bring impressive leadership experience, and their diverse perspectives and counsel will be of great service as we work toward achieving the financial targets outlined in our business plan," Chrysler-Fiat CEO Sergio Marchionne said in a statement. Simmons 66, plans to step down as Brown's president at the end of the month, but will remain there as a professor. Prior to joining Brown, she was president of Smith College, the largest U.S. women's college. She also is on the boards of Princeton University and Texas Instruments, among others, Chrysler said. Perkins 57, has been on the UAW's presidential staff since July 2010 and previously was a consultant on economic issues and organizing strategies for several trade unions. He is one of three UAW appointees on the board of the National Institute for Health Care Reform, a joint nonprofit with the three Detroit automakers that conducts health policy research and analysis. Blanchard was a board member appointed by the UAW's Retiree Benefits Trust, or VEBA, which owns the 41.5 percent of Chrysler stock not owned by Fiat S.p.A.
Perkins is the first UAW official to sit on Chrysler's board since former UAW president Ron Gettelfinger stepped down in Sept. 2007 when Daimler AG sold Chrysler to Cerberus Capital Management.